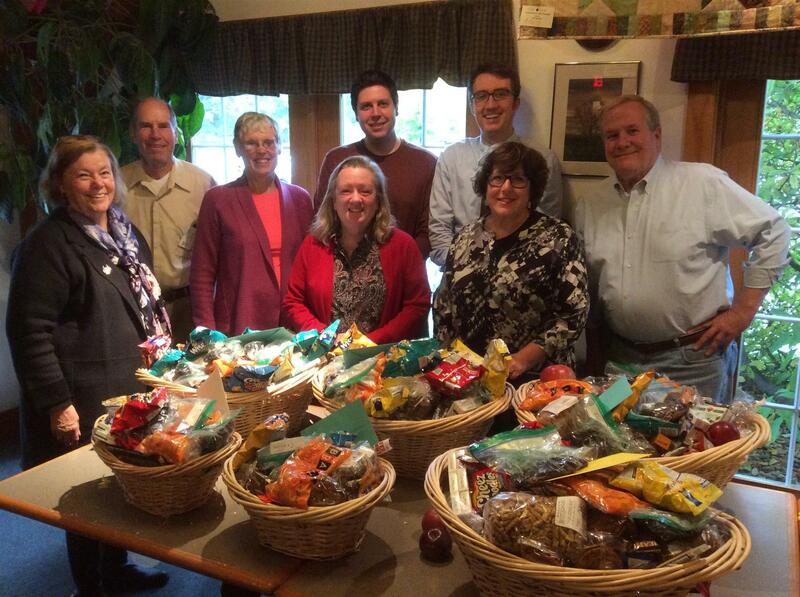 The Club recently delivered eight baskets of goodies to munch to area emergency service providers. They were our thanks for the work that you do. Baskets were presented to Middlebury Regional Emergency and Medical Services, Inc., Addison County Sheriff's Department, Middlebury Volunteer Fire Department, Middlebury Police Department, Vermont State Police (New Haven Barracks), and Porter Medical Center: Emergency Room staff. Assembling the goodies provided by club members and delivering the baskets were (L to R) Nancy, John, Lyn, Maureen, Jeff, Judson, Kathy, and Geoff.